Richard G. Fenn, “Rick”, age 73, passed away peacefully on May 3rd, 2018, from complications due to a stroke. Rick was born in Oshkosh to Elbert R. and Marilyn Fenn. While pitching for the Badgers, he earned his Education degree from UW Madison and then later earned his MS Degree, from ODU in Norfolk, VA.
Rick joined the US Navy in 1967, wanting to learn to fly, and earned his wings in Pensacola FL as a helicopter pilot. He married the love of his life, Susan Apell Fenn, Dec 8, 1970, in Hawaii on his R&R from Vietnam. Rick spent 27 years proudly serving his country before retiring as Capt. in Aug. 1994 from the NROTC Unit at UW Madison. After retirement from the Navy, he was self-employed for 12 years before beginning his happiest job as “Mr Rick” for Middleton-Cross Plains as a school bus driver. He loved his school kids! Every night he would return home to share their funny stories with his wife. Rick found so much joy in teaching his son Timothy how to pitch and coaching his little league baseball teams. His daughter Jennifer was never far behind and loved the camping trips. Rick enjoyed watching baseball, Badgers, Packers and playing golf. He shared in all of his grandchildren’s accomplishments and was their biggest cheerleader in everything they did. Rick is survived by his wife, Susan, of 47 years; son, Timothy (Carrie) of Virginia; brother, Timothy (Shauna) of Texas; and six grandchildren. He is preceded in death by his parents; daughter, Jennifer; and brother, Stephan. A celebration of Rick’s life will be held on Sat., May 12th at Gunderson-West (7435 University Ave Middleton). Visitation 1 pm – 3 pm with the service following. For all their loving care, a special thank you to Jen and the nursing staff on the Neurology floor at St. Mary’s Hospital, the staff of Ingleside Manor in Mt. Horeb, and Heartland Hospice. Memorials may be made in Rick’s name to the Dane County Humane Society, in McFarland, or Madison Cat Project (627 Post Rd. Madison 53713). SIX onboard the USS KOELSCH. in the Leadership Jacksonville Program. Wing ONE Staff as the Operations Officer. 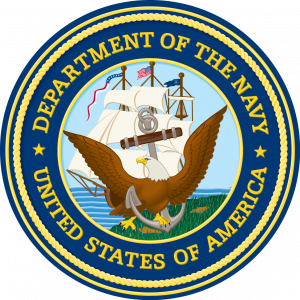 from 1991 thru 1994, retiring from the Navy in 1994. Commendation Medals with a Combat V.